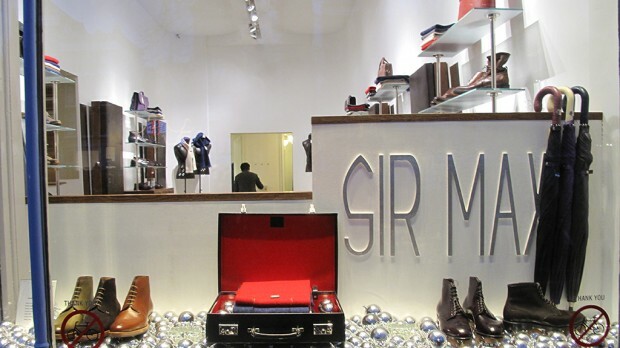 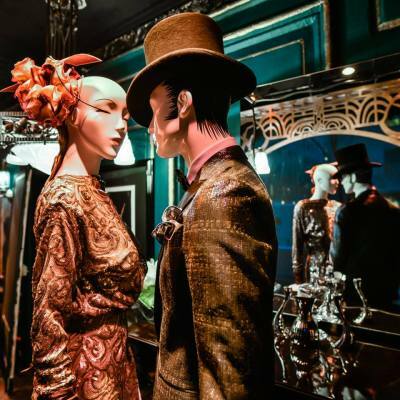 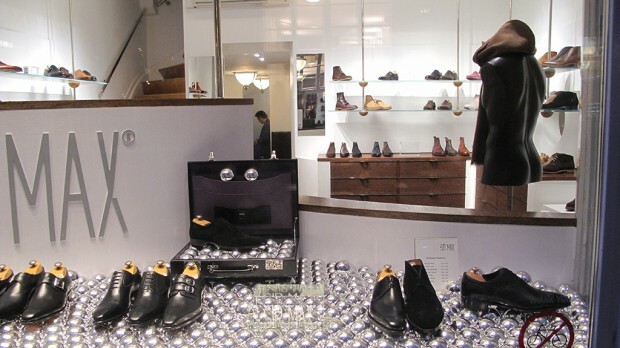 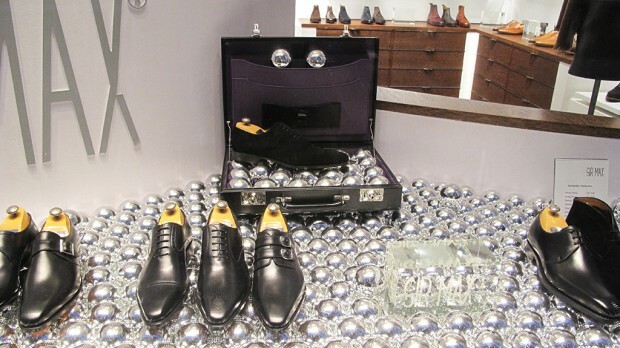 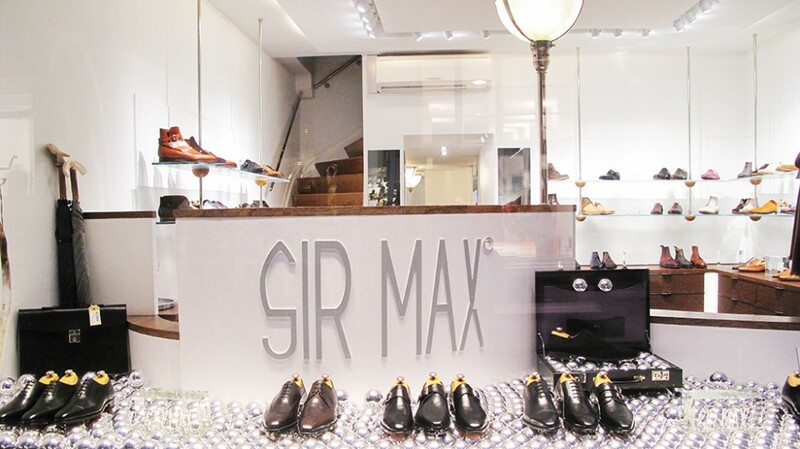 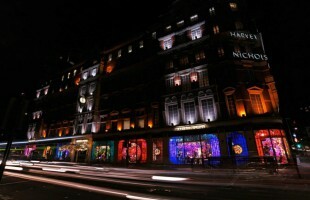 Men’s store SIR MAX has an exclusive collection of shoes, custom clothing, bags, accessories and briefcases. 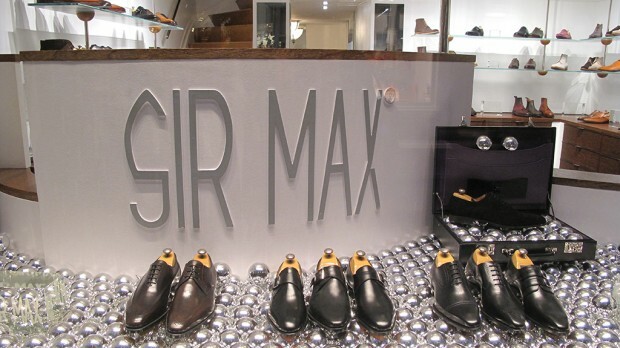 With their own developed in-house brand they are capable to serve the specific needs of their customers. 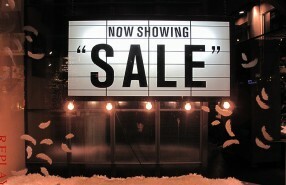 Next to their own brand they also have collections from other good quality brands. 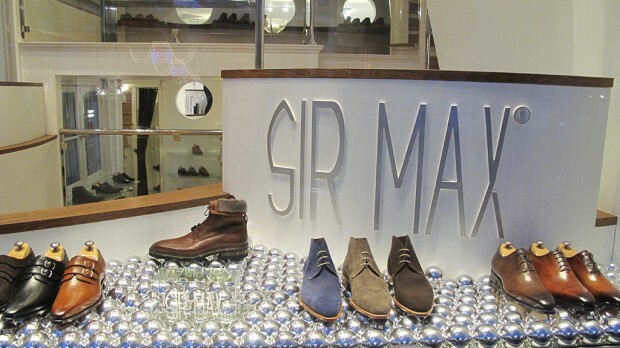 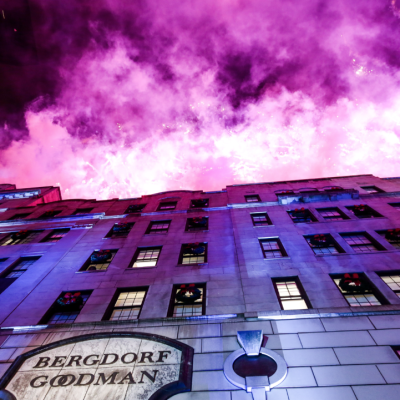 The holiday window display is full with silver Christmas balls where SIR MAX present their shoe collection and accessories.